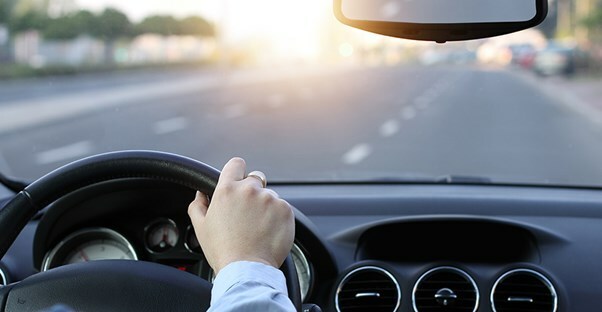 According to the National Highway Traffic Safety Administration (NHTSA), of the more than 6 million automobile accidents reported in 2014, more than a third resulted in injury or death. Even though automobile-related fatalities and injuries have shown a general decline over the last decade, 2 million is still a staggering number of people. Here is a look at the most common car accident injuries reported. The Center for Disease Control states that about 14% of traumatic brain injuries (TBI) are caused by car accidents. TBI may be mild or severe and can result in confusion, disorientation, sensory disruption, loss of consciousness, and a wide range of other issues as the result of an injury to the brain. In car accidents, blunt trauma (a blow to the head, potentially wounding the brain) is more common than TBI caused by something actually penetrating the brain through the skull, although it does still occur from debris, like a large piece of glass. But there’s more to the head than just the brain. Cuts and contusions (bruises) to the skin are not uncommon; other head injuries may result in vision loss, a broken nose, jaw fractures, or lost teeth. Broken bones can extend far beyond the face. A broken neck can severely damage the larynx or trachea, cutting off oxygen. In fact, a broken neck can be instantly fatal. A herniated disc can occur in the neck or back as the result of damage to the cushion between vertebrae. The insides of the disc leak out, irritating the nerves and causing pain or numbness in the extremities. Nerve damage or other damage to the spinal cord can potentially cause chronic pain, numbness, or even paralysis. The most common car accident injury—especially from rear end collisions—is whiplash, which occurs when the neck whips forward and snaps back, damaging muscles, ligaments, and even bones. Chest injuries are especially common in accidents where seat belts aren't used. The diaphragm can be ruptured (or torn), causing pain and difficulty breathing by blunt force or penetration. Internal organs can be damaged; the liver, spleen, and kidneys are especially vulnerable in front or side impact accidents. Hip fractures are also common automobile accident injuries. The legs are another body part likely to be injured. Complete severing of a leg is more common in motorcycle accidents, but sprains, fractures, and crushing are very possible to the legs, feet, or knees in an car accident. Legs stuck out the window, resting on the dashboard, or other inappropriate postures for cars can end especially disastrously. The cartilage in the knee may be torn from twisting or turning in the wrong direction during impact. Nearly every part of the body is susceptible to being cut or bruised during an automobile accident. Broken glass, sharp pieces of metal, and the simple act of impact can result in potentially serious injuries. Impact can be strong enough to cause internal damage or bleeding. When thrown from the car, road rash can be extremely painful. Deep cuts can result in excessive bleeding that may be life threatening.